One of the greatest Passover challenges is undoubtedly what to eat for breakfast, besides just matzah with butter (as delicious as it may be). 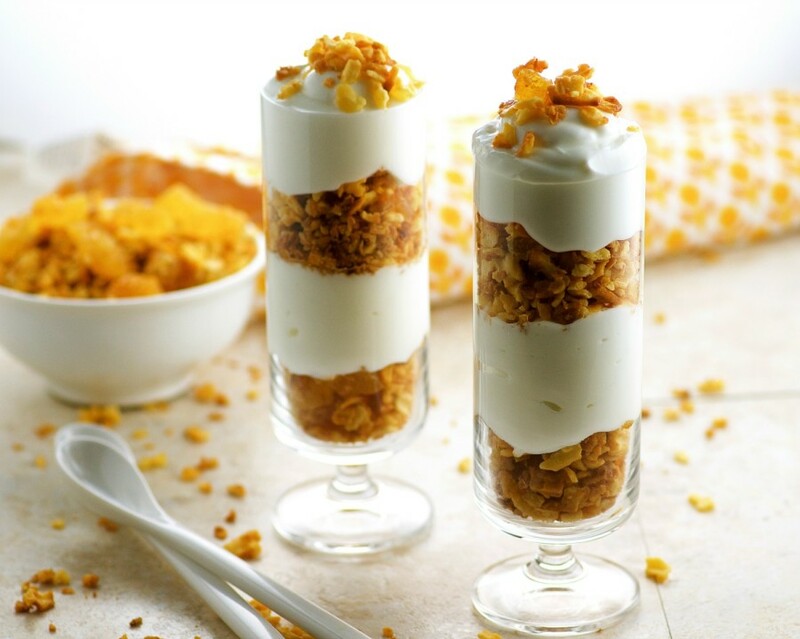 Cereal is a go-to breakfast item many people love during the holiday, but the Passover versions of our favorites are often loaded with sugar and potato starch or matzah meal, which means they get awfully mushy once you add any liquid to them. And after all that heavy Seder eating, we crave something more wholesome and vibrant. 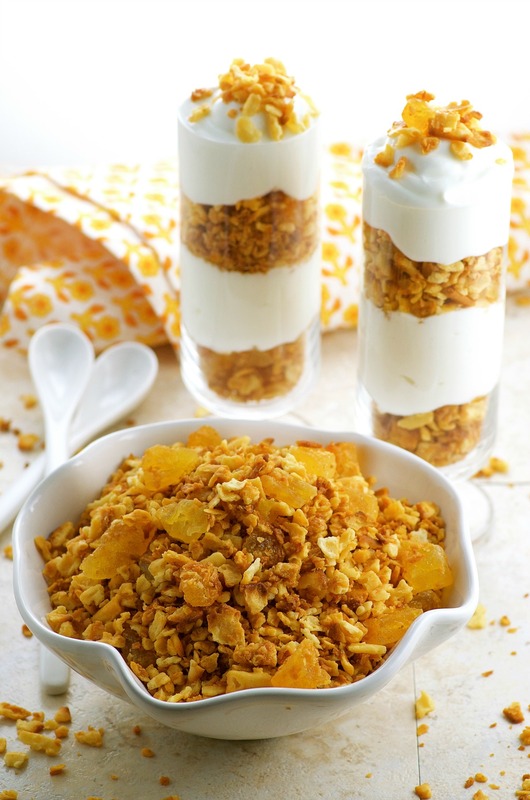 Our super simple and tasty granola takes care of both problems! You can enjoy it with milk or yogurt, or just plain as a mid day snack. It’s made with real ingredients and looks so beautiful. you might forget it’s Passover-friendly food all together. Preheat oven to 275 degrees F. Line a large baking sheet with parchment paper. Combine farfel, coconut and dried pineapple in a large bowl and mix well. In a separate bowl whisk together oil, brown sugar and maple syrup. Pour over farfel mixture and mix well until well coated. Transfer to the lined baking sheet. Bake at 275 degrees for 30 minutes, stirring half way through baking to prevent it from burning. Let it cool completely and store in an airtight container. A simple preparation of a classic Passover food. This velvety, bright green soup is easy to assemble, puree and re­heat.